Posted By:Unknown | At:10:53 AM Be the first to comment! 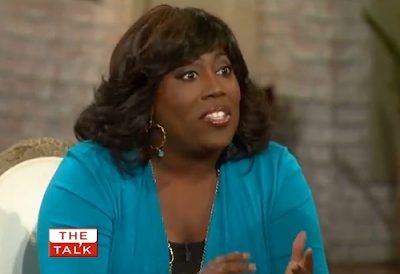 Making her somewhat controversial debut (people are upset that she is replacing Holly Robinson Peete) on 'The Talk' famed comedian Sheryl Underwood opened up about her husband's suicide. The reason the topic came up is because the ladies were discussing the recent suicide of one of the husbands on the 'Real Housewives of Beverly Hills' series.